← Russian roulette – for [by] gardeners! 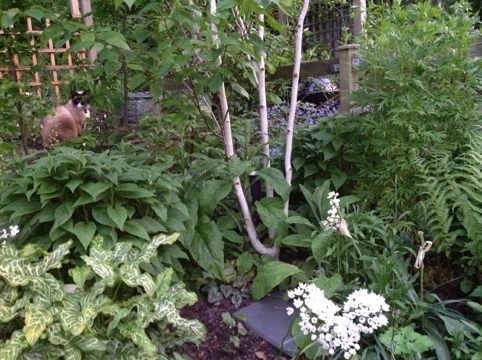 I’m writing this post in my garden, I won’t be sitting here long as there are tiny biting things in the air, but I just wanted to share the moment. It is so still, the birds are still singing, the little bats will be flying past soon (eating the biting things I hope). This is what making a garden is all about, peace. This entry was posted in In my garden. Bookmark the permalink. Lovely – and look at how it’s grown!